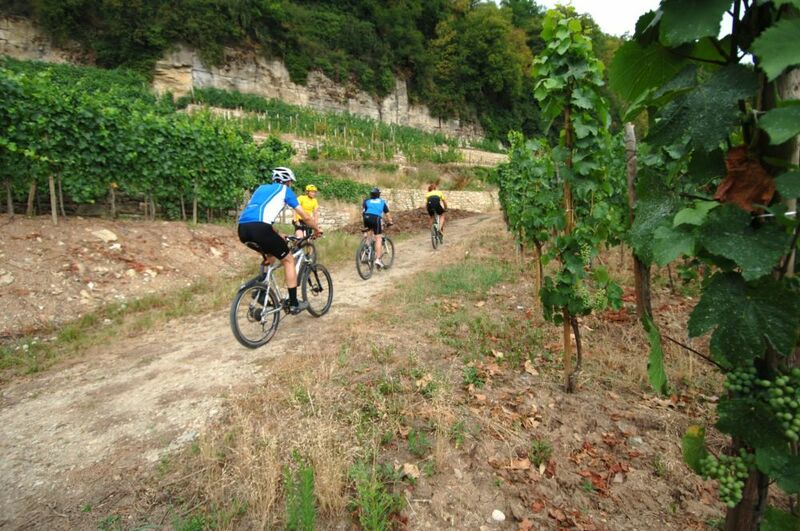 Without doubt one of the most varied and interesting circuits for nature lovers and those who revel in distant views along the Moselle, this circuit starts in the charming, typical wine-growing village of Greiveldange before climbing up wine-covered slopes with a magnificent view over the river below. 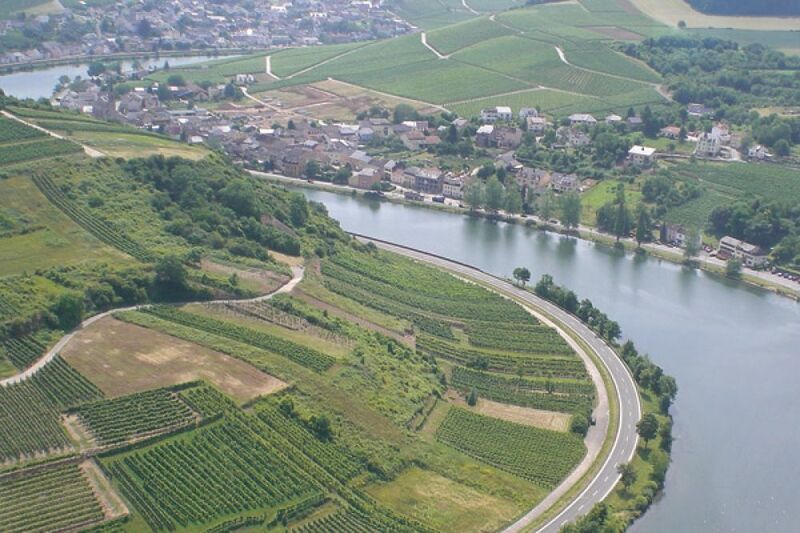 After Lenningen, it begins a long path through dense forests, finally leading to a downhill slope through fields to Stadtbredimus on the banks of the Moselle. Stadtbredimus is known for its castle housing the “Vinsmoselle” cooperative cellars, as the birthplace of the national poet Edmond de la Fontaine (better known as “Dicks”), and for its dam and lock. 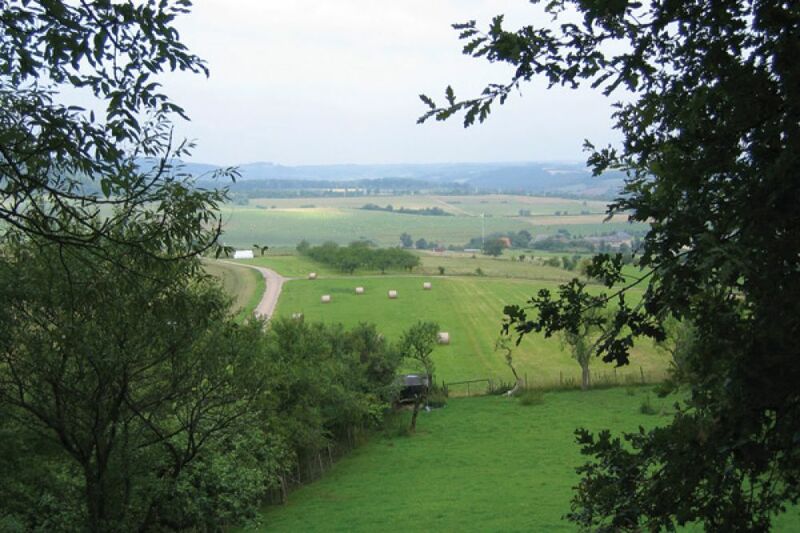 Before returning to Greiveldange, the circuit offers another superb view over the meandering river.